We all expect our bras to work miracles, but can they also monitor our breasts for signs of cancer? A new breed of over-the-shoulder boulder-holder claims to do precisely that. Developed by First Warning Systems, a medical-technology firm based in Reno, Nev., the high-tech undergarment uses a series of sensors to detect subtle variations in the temperature of breast tissue. Because unusual heat patterns can indicate the presence of abnormally growing cells, the company says its bra can identify tumors years ahead of traditional breast-imaging techniques like mammograms or MRIs. Another plus? The process is entirely non-invasive. The bra must be worn for at least 12 hours in order to determine a stable enough temperature reading, after which the measurements are wirelessly transmitted to a computer, mobile device, or the Internet for analysis. 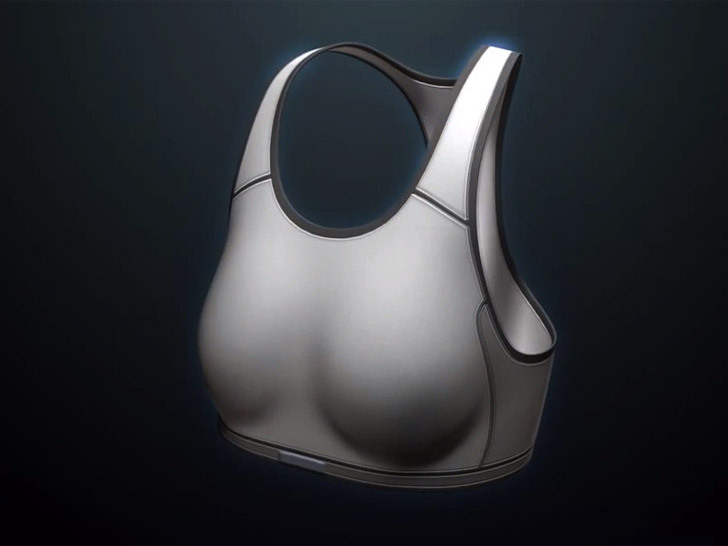 In three separate clinical trials involving 650 women, the bra scored an accuracy rate of over 90 percent. Results have been promising so far. In three separate clinical trials involving 650 women of all ages, the bra scored an accuracy rate of over 90 percent in correctly classifying breast tissue as normal, benign, suspected for abnormalities, or probable abnormalities. Routine mammograms, in contrast, have an accuracy rate of only 70 percent. First Warning Systems isn’t cowed by its naysayers, however. The company plans to roll out its bra in Europe next year and, pending approval from the U.S. Food and Drug Administration, the United States in 2014.